It is a free digital fax service which permits you to deliver the files and cover page to the fax machine after submitting a form on the site. 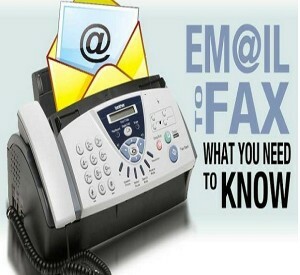 Although FaxZero provides faxing services free of cost, there are constraints also. The constraining factors are that you can’t deliver more than five free faxing in a single day and free faxing is available only to the location of USA, Canada. If files are longer than three pages, then you have to pay a fee. The price of faxing per fax for global fax services depends on the nation where you are sending online documents or faxing it. Visit the site of FaxZero with its address FaxZero.com. A form is displayed on the front page, and you have to submit it. Within the Sender Information, you need to fill your name, e-mail ID, contact number. Within the Receiver Information, you need to fill the name and fax number of receivers. Under the section of “Fax Information”, you can add the documents that you require to fax by picking out one of the options of “Choose Files”. You should ensure that your file is compatible with FaxZero. When you pick out the “Choose Files”, then you can choose the desired document and choose the button of Open. After adding your file, you can insert a message for the cover page in the blank box placed just below the “Choose Files” section. For filling the next blank box, you can mark the option of “Confirmation Code” and then insert with the produced code. For filling the completed fax form, you can choose the option of “Send Free Fax Now” or other option as per your need. Once you submit this form, then you will get the confirmation message in your email by FaxZero. This is vital for having the URL that can allow you to offer you faxing service. When your fax is delivered, then you will get the emailed message to inform you regarding the successfully delivery of the message. In case you can’t avail the PC or computer system then this tool is an excellent tool for faxing service. But you should have access to that particular file, whether using a mobile device, for availing faxing service by using this tool. It is an application that is compatible with the mobile devices (both Android and iPhone), permitting you to fax files straight from the device other than the computer. It also provides global faxing services. There is no facility to fax the documents freely; instead, you need to buy the credits for faxing. These faxing credits can’t be refunded if you begin faxing even this attempt is not successful. This app permits you to upload documents from the Google Drive and iCloud network so, by this, you will get the alternative solution to keep those files in the record other than the mobile device. Similar to FaxZero tool, this is another digital faxing platform. But it only provides you with the faxing services with the payment mode and not free of cost. You have to be a member for having the facility of faxing. Once you become a member of it, then you can compose the regular email messaging. When you launch the account on eFax, then you have to sign into the email account and compose with a new emailed message. Out of all the three methods, eFax provides the huge variety in terms of document formats to be delivered. If you are ready then you can insert the fax number of the recipient along with the addition of domain “@efaxsend.com” then you have to press the option of “Send”.